Its been an unusual growing season, too wet then too dry, but for the most part everything looks pretty good. All items are organic, grown right here on the farm, and fresh picked daily. I just peeked out there today and saw cucumbers, onions (4 kinds), carrots, beets, potatoes (3 kinds), peppers, eggplant (2 kinds), beans garlic, basil, and may types of heirloom tomatoes. Prices .50 cents - $2 a lb. Honor system. 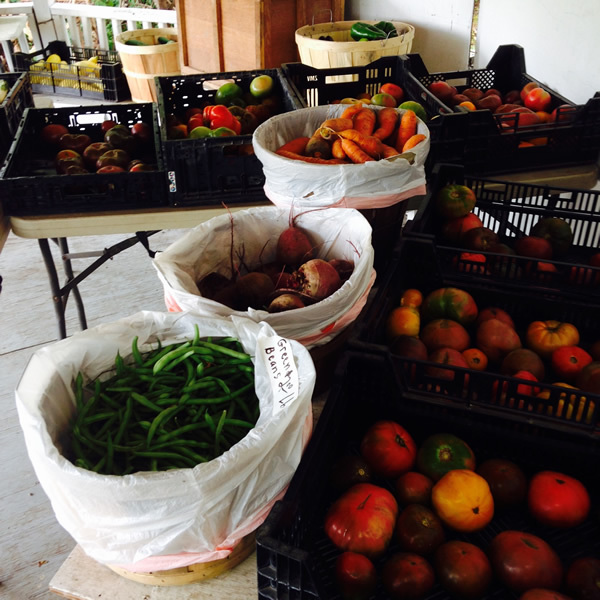 The Natural Farm Stand is open daily from 10 a.m. to 5 p.m. While we await our next mixed container from India, we are continuing to unpack Indonesian and Indian furniture. 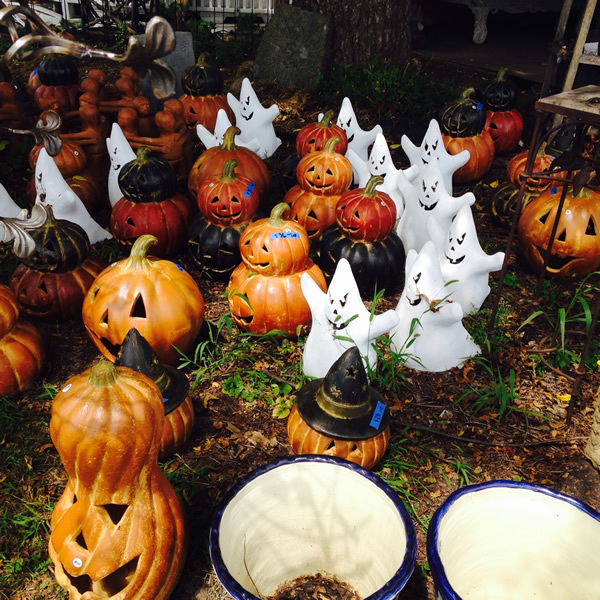 We are also getting an earlier than usual start on putting out fall items such as woolen and felted goods from Nepal and terra cotta pumpkins and ghosts from Mexico.